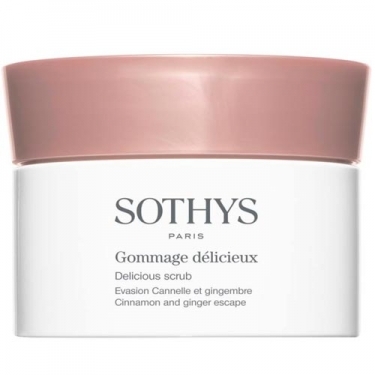 DESCRIPTION: Gommage Délicieux Cannelle & Gingembre from Sothys is an exfoliant with an amber texture, sprinkled with powdered spices that soften the skin to sublimate it. Active Ingredients: Corn oil, which nourishes the skin, offers flexibility and comfort; Ginger powder and nutmeg for a mechanical exfoliation. 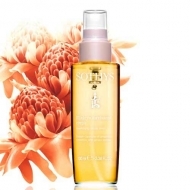 Apply all over body during bath time or, for a more reinforced exfoliation, apply on dry skin and rinse afterwards.